I grew up in a time where it was ok to walk home from school. The worst thing that could happen was that I would become distracted by a group of friends, a stray kitten...a shiny rock. I am to this day easily distracted. "I'll drive you to soccer practice and wait until it's over." And that's a good thing. While stifling a kid's growth by welding yourself to them every minute of their day isn't going to help them grow, it can be a comforting and guiding force in their lives....done in moderation. The computer is perfect. No everything is easy and simple to use. I think Linux is wayyyy better then windows. I really appreciate what you have done for me. The computer has open alot of doors for me . I can now further myself in my music. thank you. Chris took to Linux as if he had been using it forever. Kids don't care about platform...they simply want something that works. Show them the ropes and soon they've used that rope to build a bridge to their future. Linux Against Poverty amassed for us almost 100 ready-to-go computers. Plug 'em in and they are ready to go to work. It was in every sense of the word, a blessing. Now we need to get them to those that need them. This is gonna be the tough part and we could use your help in doing so. Would you walk a kid home? It costs us on average, $25.00 to do an install. That includes fuel, vehicle use and all the other little things you wouldn't normally think of. What we can do is pretty efficient. Each person sponsoring an install will not only get their name engraved on the installed machine, we will post on this blog, each and every installation in picture format...from start to finish. Of course, if the donor is a corporate entity, that business will receive full mention and links here as well. Roy Hall, Mark Van Kingsley and I stacked computers almost to the ceiling in our storage facility this past Sunday...now it's time to start taking them out and putting them to work. As of right now...we cannot do that. 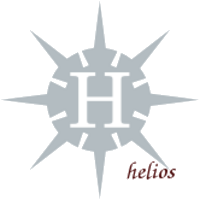 If you would like to sponsor a Linux Computer from The HeliOS Project, simply hit the donation button on the top-left of this page and you are officially a HeliOS Luminary. $25.00 gets it done. Of course, we would appreciate you spreading the word of our project to your workplace, church or any other organization that might like to be a part of what we do. Until we can get some semi-permenant funding, this is the only way I can think of to do what we need to do. And as always, I am open to suggestions. Show them the ropes and soon they've used that rope to build a bridge to their future. Ken Starks, that is one of the most profound statements I have ever heard. I just did a google search and used other engines as well. It looks like you have uttered an original quote. A brilliant one at that. You keep at this, you might be a writer some day. thank you guys. Now let me go try to get this zeppelin-sized head through the door. This project is an inspiration. Keep up the excellent work. On a side note do you have a facebook page? Why do I feel like such a schoolkid...gee whiz. I was at Fry's Electronics today and looking for a 16 gig thumb drive. I'm browsing the selections there and heard someone talking to someone else about Linux. I look up and there's helios holding rapt two young ladies, explaining to them why they get viruses and why Linux is a much better choice. Being on his facebook page, I recognized him immediately and had to wait for him to finish and introduce myself. I've heard some less than complimentary things about Ken but after he gave me over 30 minutes of his time just chatting, I saw nothing but a sincere, passionate and kind man speaking to me. I mean who knows...but the fact that I just ran into him doing the same things I do surprised me. I guess I got the impression he had people to do that for him.